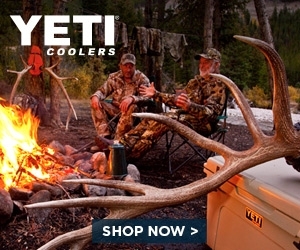 When out in the back country staying hydrated seems like an easy enough task. Here in the land of 10,000 lakes, finding water is never the issue. Finding safe water on the other hand may be tough. Being brave and drinking the water from most lakes would probably have little if any effect on a person, but when you are 2 days paddle from medical attention (not to mention a real bathroom) gambling is not the smart play. Purifying or sterilizing the water is the way to go, but how? Boiling it will kill anything that will make you sick, but it leaves you with hot water which is not very refreshing in the summer heat and may still look like a pond in your cup. On our most recent canoe trip the lake temps were in the low 60’s, making a bottle of Gatorade quite tasty. There are a number of filter options too; gravity fed and pumps are the most common. These are good for at camp when cleaning large quantities of water are required. When you are out on the trail however, light and small are ideal. The SteriPEN line of products uses ultraviolet light to make water safe to drink. This technology has been used on an industrial scale for years and has been proven to be over 99.9% effective in killing bacteria, viruses and protozoa that cause water-borne illness. I had the privilege of testing the new Adventurer Opti, the latest iteration of the outdoor SteriPENs. 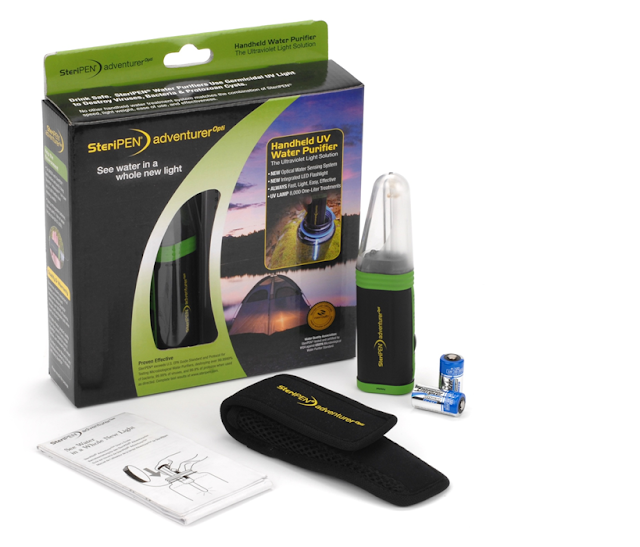 This smallest and lightest SteriPEN® has an optical eye to sense the water which doubles as an LED flashlight. In conjunction with the screw-on pre-filter, it produced clean, safe and “floaty” free water. The story is simple. Screw the pre-filter onto water bottle of choice, submerge in water source, once container is full remove center filter and insert SteriPEN, wait 90 seconds (for 32oz bottle), done! After a couple of uses I was able to get the whole process down to under 5 minutes. This is by far the smallest, lightest and fastest way to produce clean water I have ever tried. You will find this permanently in my daypack. Weight: 103g/3.6 oz. with batteries.